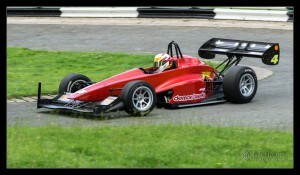 Barbon Speed Hillclimb…. what is it? Barbon Hillclimb is a relatively short but very quick speed hill climb course just outside the village of Barbon, near Kirkby Lonsdale in Cumbria. 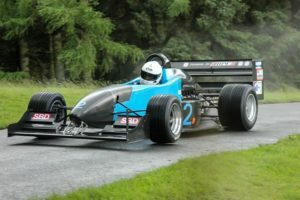 The new course record of 20.08 seconds set by Jos Goodyear in July 2015 makes Barbon the fastest Hillclimb course in the UK – Jos set an average speed from start to finish of 90.66mph. 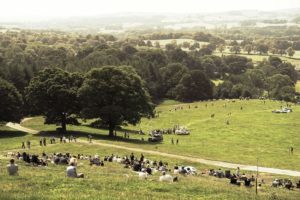 Opened in 1950 the spectacular venue with views out over the surrounding countryside may be home to the shortest hillclimb in the UK, but its 675m course is incredibly popular with drivers who enjoy the challenge and great atmosphere that the venue provides. It’s great for spectators too, the whole of the course is accessible for viewing and you also have full access to the paddock area where the cars (and drivers) “rest” between runs. What’s it all about? 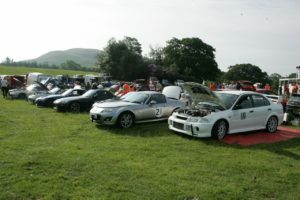 It’s simply an opportunity for registered competitors to drive their car as quickly as possible up the winding estate road of Barbon Manor, the aim quite simply being to get from the bottom to the top in the shortest possible time. See Russell Thorp’s excellent video here – It begins with an early morning look around the paddock in June 2018 and then moves on to in-car film of 5 runs up the hill in his Renault 5 Turbo. There are two days of competition on the hill each year, both featuring cars that range from road going family saloons to powerful single seat racing cars. 8th June 2019 – we run our National B meeting which is a qualifying round for several of the top Local & Regional Championships. This extremely popular annual event is a qualifying round for several local & regional championships and attracts many “Club” competitors to this exciting venue. But don’t think that you’ll see less spectacular cars at this event. There’ll still be an excellent variety of cars including single seat racing cars and some surprisingly powerful saloon and rally cars too. All this and a fascinating selection of historic cars as well. As each year passes, we attract even more championships which results in 80 – 100 competitors to this meeting – see our Calendar page for more details. It was a brilliant day for the June 2018 event, with wall to wall sunshine and an almost full entry list. Competition was fierce with a great variety of cars taking part which led to a fantastic atmosphere both in the paddock and for the 700+ spectators watching the action along the course. 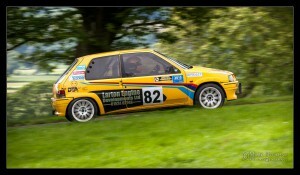 Club motorsport as it should be!! 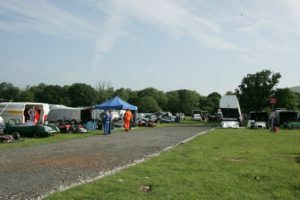 6th July 2019 – we host the British Hillclimb Championship supported by competitors from Local & Regional Championships too. 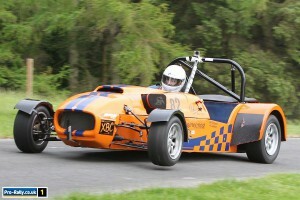 This National A / B event includes two rounds of the exciting British Hillclimb Championship, and features most of the top drivers in the British Championship as they make their annual visit to Barbon. It was great event at Barbon in July 2018, held in glorious sunshine. Though some competitors were getting fairly close, Jos Goodyear’s phenomenal record set in 2015 is still intact, so what’s the chance of the record being beaten in 2019? Be there to find out! The event is also a qualifying round of several regional championships too, so you can be sure to see many cars & drivers competing for position in their own championships. Why not make a weekend of it in July? 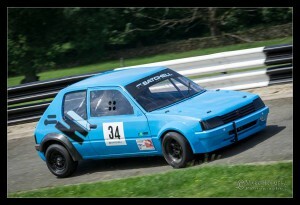 Visit Barbon on Saturday, and the next round of the British Championship at Harewood on Sunday! There are lots more photos of the Barbon Hillclimbs over the years on our Facebook page, and you can join in and post your own photos on our Friends of Barbon Hillclimb page too. 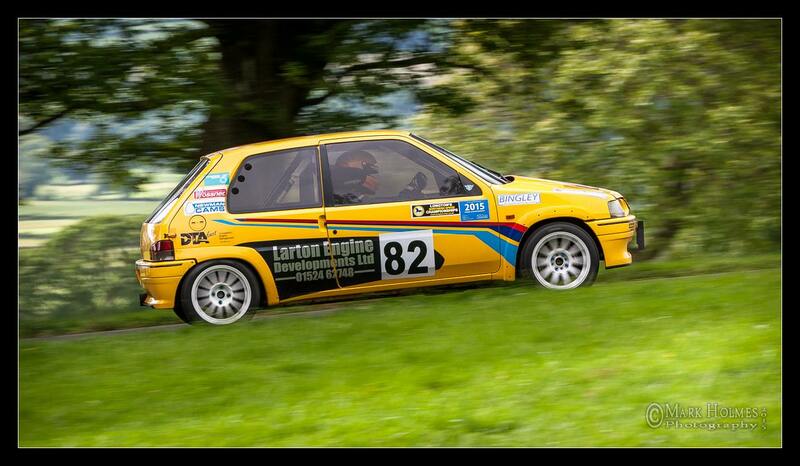 Or click here for a great slideshow of Barbon Hillclimb scenes by Graham Edwards. The Barbon Hillclimb course is situated in the grounds of Barbon Manor, with spectacular views out over the surrounding countryside. The spectator gates open at 8am, and the first practice is due to start by around 9.30am. You’ll be hard pressed to tell the difference between practice and the competition runs – they’re just as exciting and only a stopwatch will show if the cars are slightly slower! Apart from a break for lunch, the action should continue right through until late afternoon, generally finishing between 4.30 & 5pm. Hot & cold refreshments are available on site throughout the day for competitors and spectators. From the M6, take the A65 East to Kirkby Lonsdale, turn left onto the A683 for exactly 3 miles, then right to Barbon Village. Then follow the local signs to the venue. From South Yorkshire, take the A65 past Settle to Kirkby Lonsdale, turn right onto the A683 for 3 miles & then turn right again to Barbon village and follow the signs to the venue. Using a sat nav? The nearest postcode is LA6 2LJ which will bring you right into the heart of Barbon Village. Please be aware that Competitors and Spectators use different entrances to the venue, so please follow the appropriate direction signs! In common with all UK motorsports events, Dogs are not allowed, even the best behaved ones on the strongest of leads. Click HERE to go to the How To Enter page. Camping is available on site from 5pm on the Friday evening only. The farmer may impose a charge of around £10. There are no mains water facilities on site for campers but reasonable quality portable toilets will be available. Entries normally close 10 days prior to the event. The competitors’ paddock at barbon is exactly that, a grass paddock which isn’t ideal when we are faced with heavy rain. In 2018 we made several improvements to the paddock by constructing a new roadway at the bottom of the paddock, a short return roadway at the top, and installed additional land drains too. Though the new roadways are not surfaced (for 363 days a year the venue has to remain a working farm) but are sure visitors will appreciate the changes we have made. Is your motor club interested in putting on a static display of members’ cars at our events? If your club would be interested in bringing along a selection of vehicles (and qualify for a discount on admission), please contact us here. Each year various motor clubs join us at our events, attracting a great deal of interest from our spectators as they view their displays of members’ cars, and it’s great free publicity for your motor club too. Classics cars, competition cars, performance cars – tell us what your club members would like to bring and let’s see if we can find a display area for you. If you pre-book a minimum of 5 cars for a display from your club, we will charge your members just £5 per car for admission regardless of the number of passengers, so why not get in touch today? 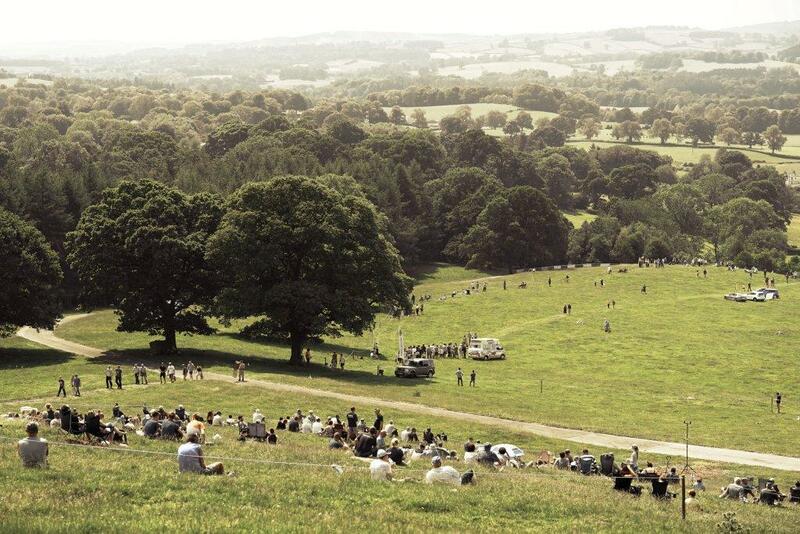 Spectators are most welcome at both of our Barbon events – in fact you are vital to the future success of the venue. Admission is just £5 per adult at the June event, and only £8 at the July event. Accompanied children under 14 are entitled to free admission. In common with all UK motorsport events, Dogs are not allowed in the spectator areas, not even well behaved ones on the strongest of leads. Sorry! Car parking is free and you can wander around the paddock area to see the cars close-up and talk to the drivers too. The whole of the course is accessible to spectators, from the start-line right through the flying finish at the top. We recommend you wear stout footwear as, apart from the track itself, there are no Tarmac areas and being on the side of a hill (it wouldn’t be a hillclimb if it wasn’t!) the walk right to the top can be challenging for some. The views from the top are well worth the effort though. Whilst disabled visitors are welcome, the terrain is not particularly suitable for those with limited mobility or in wheelchairs as, for 363 days a year, it is merely farmland that forms part of the Barbon Manor Estate. We can usually arrange special access for disabled visitors, dependent on their time of arrival – please contact us in advance for details. We have a mobile catering unit in the lower paddock all day serving both hot and cold food & drinks, and event toilets are situated in the lower paddock as well as strategically on the hill. We provide digital displays at both start and finish that show the time taken by cars as they complete the course, and a list of all the cars’ times are displayed at the Secretary of the Meeting’s caravan in the lower paddock. There is a PA system covering the whole course and there will be a running commentary from the completion of practice throughout the competitive runs. Timetable: All times are approximate and depend on weather conditions, the number of competitors, and the need to recover any cars that don’t make it to the top! First practice starts at approx 9.30am, followed immediately by second practice. Competitive runs continue throughout the afternoon. We aim to finish by 5pm, with awards presented immediately afterwards. We send the cars up the hill at roughly 30 second intervals, in batches of around 20 – 25 cars. Because of the limited size of the holding area at the top of the hill, we then have to bring each batch of cars back down the course before we let the next batch have a go. So there will be breaks in the competitive runs which also enable us to briefly open the designated spectator crossing points half way up the hill to allow people to cross. You must only cross the course at the designated crossing points, and only when allowed to do so by the marshals. Please be patient if there’s a break and your are still having to wait. There will be a good reason for the delay that the marshals know about and they will let you cross as soon as it’s safe. We hope you enjoy your visit to Barbon. If you have any questions about the day’s events, do please ask. Motorsport won’t happen without our dedicated band of volunteer marshals. But we always want more! Would you be interested in helping us run the events? We are always in need of more marshals and we are particularly keen to welcome new or experienced marshals to Barbon. So if you’d like to help marshal the course, help at the startline or maybe in the paddock area, we’d be very happy to hear from you. You don’t have to be a member of a motor club, nor do you need a set of those fetching orange fire-resistant overalls (though it’s a good idea!) and if you are inexperienced, we will always place you with our regular marshals to learn the ropes. The Churchmouse at Barbon – village store, cafe and delicatessen all rolled in to one! 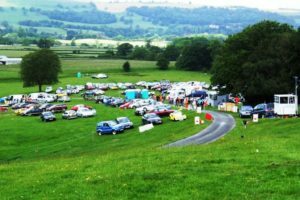 The car events at Barbon are promoted by Barbon Hillclimb Ltd, a joint venture between Kirkby Lonsdale Motor Club & Liverpool Motor Club. Any surplus from the events is used to maintain the venue for the future. …….. Our Next Ride May Save a Life ……. NW Blood Bikes provide a Free, but professional voluntary out of hours transport service to our local NHS hospitals by carrying urgent and emergency blood, platelets, samples, donor breast milk, patient notes, theatre equipment, in fact anything that is urgently required that can be carried by motorcycle, between hospitals. To make a donation, or for more information, just click on their logo below. North West Blood Bikes, Lancashire & Lakes, would like to thank everyone who made a donation to the charity last year, particularly those competitors who added £1 to their entry fee as a donation to the fund, and also everyone who donated at the two Barbon events. Thanks to your generosity, NWBB received £799 from Barbon competitors, marshals and spectators which will help keep the Blood Bikes on the road to serve the emergency needs of people in the North West.